HONOR KILLINGS IN PAKISTAN INVOLVE BRITISH CITIZENS……. – The Tundra Tabloids……. HONOR KILLINGS IN PAKISTAN INVOLVE BRITISH CITIZENS……. Another honor killing in Pakistan, in which relatives took it upon themselves to avenge their “honor” by murdering the parents and sister of the man who besmirched their own family member. That’s the mind of the Mohammedan, extreme narcissistic inclinations inculcated by the teachings of their ideology that are then acted out in vigilantism (another Mohammedan principle) on the streets. Finland was also the scene of a “honor” killing last December 2009, when a known Kosovar criminal, Ibrahim Shkupolli, brutally murdered five Finns in Helsinki. In spite of the recent ruling by the Finnish Police that the murders were out of “jealously”, we who follow these things more closely than the Finnish police, know that Shkupolli acted to avenge his Islamic honor, no matter how secular he was. It’s in the DNA. The Tundra Tabloids was the first to report the fact that Ibrahim Shkupolli ritually murdered his former girl friend with a knife, slitting her throat from ear to ear like a goat, nearly decapitating her head. She was duct tapped to a chair. The TT knows about this from a source deep inside the Helsinki “bureaucracy”, and can’t go any further in desribing the source. Daily Mail: An Asian man whose marriage breakdown allegedly led to the murders of his parents and sister may have split up with his wife because he had a love-child with a secret girlfriend. Kamar Mahmood separated from his wife Nabeela after being married for nine years. It is understood that the shame of the couple’s split – and the news that Mr Mahmood had allegedly cheated on his wife with a white, blonde girl – outraged Nabeela’s family so much that they decided to take revenge. 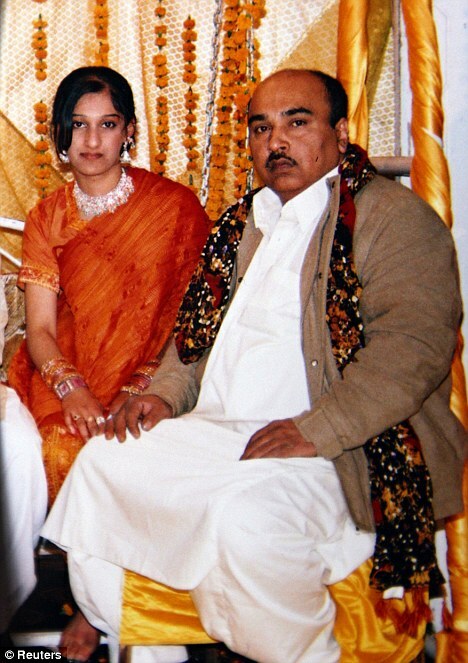 Nabeela’s three brothers and two other men are accused of shooting dead Mr Mahmood’s father Moham-mad Yusaf, 51, his mother Pervaze, 49, and sister Tania, 22, who were in Pakistan for the marriage of their youngest son, Asad, 24. The victims were sprayed with bullets as they prayed at a relative’s graveside in a village in Gujrat province. Mr Mahmood, of Nelson, Lancashire, who is unemployed, separated from his wife last year. The couple have two daughters, aged three and five, who are living with their grandmother. Nabeela is understood to be staying in a women’s refuge. Previous Post Previous Post THE COUNTERJIHAD CALENDAR REMEMBERS TODAY AS THE OCCUPATION OF CONSTANTINOPLE……. Next Post Next Post FLOTILLA OF HUNS APPROACH ISRAELI WATERS…….